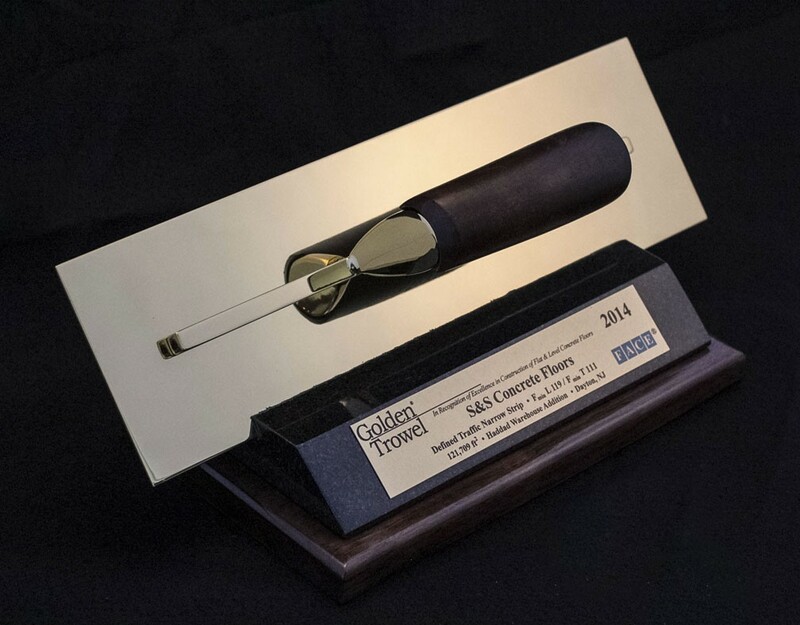 S&S Concrete Floors, Inc. received the 2014 Golden Trowel Award from the Face Company for the Haddad Warehouse Addition in Dayton, New Jersey. Placements were made while building was open with no roof or walls (Rack supported structure) in August and September with high temperatures, low humidity and wind. Slabs were 12" thick. Click on the photo below for a larger view of the award.